This is my first ever Wedding at Beech Hill Country House and I sincerely hope it is the first of many because it is a really wonderful location. Every wedding is different and the various family groups always come together for a joyous occasion, and over the years I have covered some cosmopolitan gatherings. Ane the wedding of Mo and Miguel was certainly a world wide occasion. 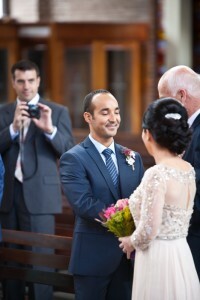 Mo and Miguel met a few years ago and they both work in Australia but Maureen (Mo) is originally from just outside Greysteel and so t it was a relatively local wedding for many of the guests as the ceremony took place in the beautiful Star of the Sea church in Eglinton. For others the journey was a little further indeed many family and friends had travelled across the globe be present for the big day. 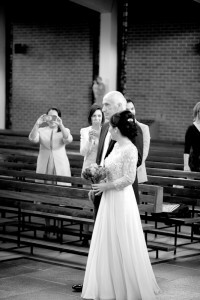 Miguels’ family are from Mexico and so the wedding was a wonderful fusion of Northern Ireland and Mexico. After the ceremony we made a short stop at the family home where we got some wonderful views over Lough Foyle and Bienevenagh Mountains in the distance. Then it was only a short drive to Beech Hill Country House Hotel . 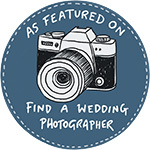 As I mentioned I had never done a wedding here before but of course I had made sure to make a visit prior to the wedding so that I would know what the options were for photographs in case we has to consider going somewhere else. However I need not have worried because there is an abundance of possibilities both outside in the grounds and inside (if the weather is not good). The grounds and gardens are a wonderful asset to this venue. With super mature lawns and trees for shelter and shade, a wonderful old stone ‘ruin’ not to mention the streams with several little bridges and the huge water wheel. The biggest problem is finding enough time for all the photographs that I would like to take. And so it was starting with some family shots on the lawn and then reducing numbers as we went the bridal party and i went on a sort tour of the gardens. We finished with some lovely shots of just Mo and Miguel. Much credit to this adventurous couple who were more than willing to try things and take a few risks (not least walking down to beside the waterwheel). The following are a few of my favourite shots from the day .